Gwyneth Paltrow just never ceases to amaze me...not only is she a gorgeous actress and adorable mother, but she’s also a savvy business woman who’s got great taste in fashion, food and culture. And lucky for us, she’s put that great taste into her new app that I've just downloaded. It’s called GOOP City Guides and although the price is a bit steep for an app ($3.99), I think it’s so worth it! 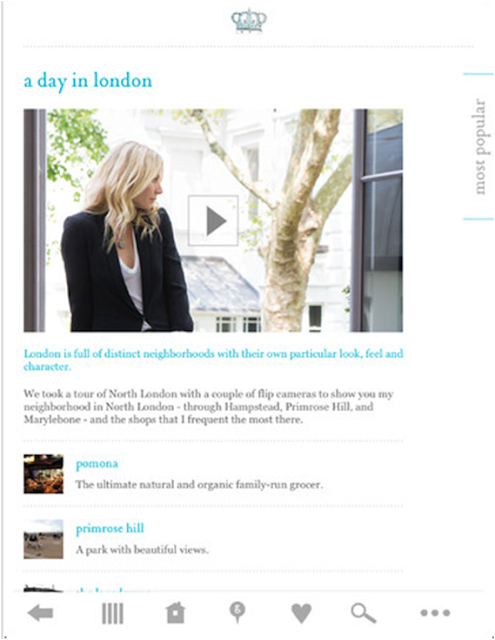 GOOP has guides for London and New York, with LA soon to come. To be honest it probably doesn't make sense to purchase unless you live in one of those cities or are going there for a week-long holiday, but if one of these applies, get downloading! 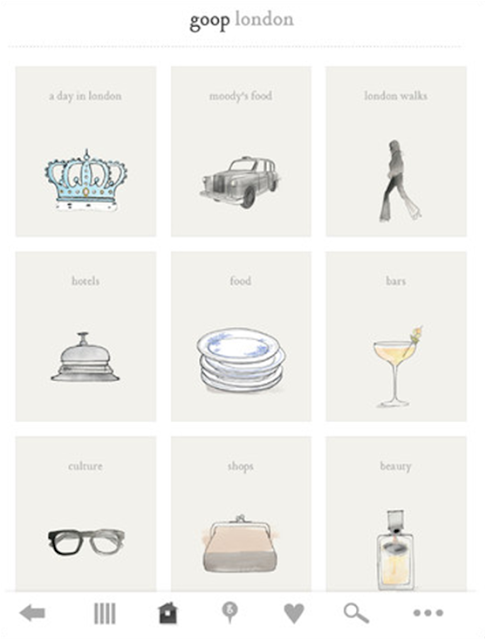 The London guide has posh recommendations for everything from food and city walks to bars and beauty. Even though I've lived here for a year now (crazy, I know!) 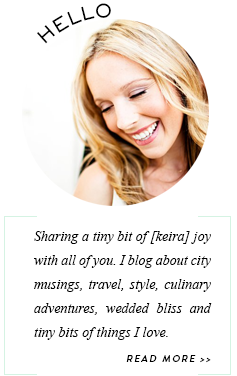 and I like to think I've gotten around to some of the city sites and trendy spots, I still haven't been to half the places she recommends. And most of them look like they're worth a visit. The past few nights I've been spilling over the London guide and making lists of everything I want to do. I've been wanting to visit the lovely Primrose Hill area and Gwyneth has a “London Walk” suggestion for a full day out from the best boutiques to the best pub in the area. I’m also planning to go to the Pimlico farmer’s market which she says features lots of fabulous French fare. And I've even made a reservation at one of her Chelsea restaurant picks, Tinello, a little Italian joint. Basically I've become obsessed and am now planning my life around this guide...I can’t wait to report on these new adventures!